Bryson Morgan was known to fellow Seattle University students to have a quirky, sometimes offensive sense of humor. After his April 9 acquittal of criminal charges that he made a serious threat last year to shoot up the campus, Morgan’s attorney says the 21-year-old has learned his lesson. The student reported the concerning statements to his professor, who had the student recount what he heard to the chair of the university’s biology department, and then to SU’s Public Safety and Transportation Office. This was not the first time Morgan had made statements about killing people, but the incident happened on the same day that a 17-year-old Santa Fe High School student fatally shot 10 people and injured 13 others at his school. 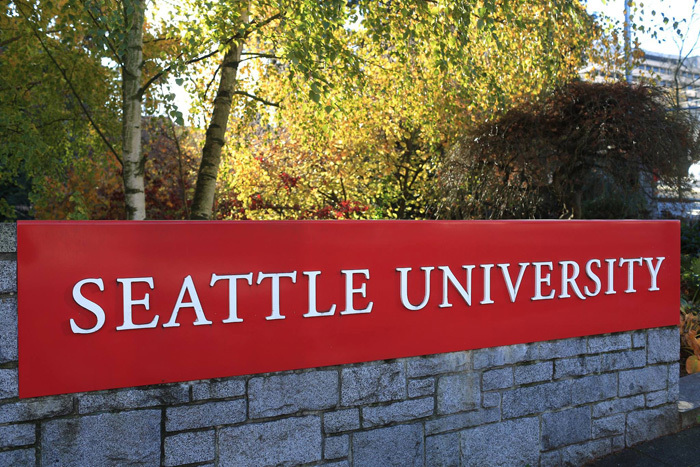 Wagnild said Seattle U security director Craig Birklid had the right reaction, not to close the school or call 911, but instead to find Morgan and question him about the perceived threat. Then a student’s mother called police to report an active shooter on the campus, he said. Seattle Police officers contacted Morgan, who reported to the East Precinct building in Capitol Hill that night. A number of Seattle University students who had attended classes with Morgan testified during the bench trial that started last week. Many had also been on a May 12 field trip with Morgan, where he had talked about firearms and said, “I could kill you all, all of you guys,” according to court records. They said Morgan had a habit of making inappropriate statements and a sense of humor that sometimes offended people, according to King County Superior Court Judge John Ruhl’s April 9 order of acquittal. “The evidence is sufficient to show that although Mr. Morgan’s statements about firearms on May 18, 2018, were inappropriate and in bad taste, his comments were consistent with his habit of making inappropriate jokes and other inappropriate, but harmless, comments; and it is at least reasonably possible that he intended them as a jest,” Ruhl wrote in his decision. The student who reported Morgan’s May 18 comments testified at trial that he did take them as a threat, Ruhl wrote, but he also conceded that those comments also could have been a veiled plea for help. Morgan’s mother told officers during their investigation that he has depression, ADHD, dyslexia and Asperger Syndrome, and that he’d recently stopped taking his medication and moved out of her home and into an apartment near campus. “In sum, based on the evidence presented, there is at least a reasonable doubt as to whether a reasonable person in Mr. Morgan’s situation reasonably would have foreseen that other persons would interpret any of his statements as a serious threat to cause bodily injury or death to any person,” Ruhl wrote in his decision. Wagnild said he got to know Morgan and his family over the past year defending the 21-year-old. “I know he’s a good kid who just kind of makes bad jokes,” he said. The defense attorney said he understands the King County Prosecutor’s Office had to take the accusation seriously. “Politically, they’re in a better position by saying, ‘We tried,’” Wagnild said. The prosecuting attorney at trial did a good job of bringing all of the facts to light, he said, which ended up in his client’s favor. Wagnild said the prosecutor’s office didn’t offer his client a plea deal in the year leading up to the trial, nor did he ask them for one. “I didn’t really think that they had the evidence to prove it, so there never really was any negotiation about it,” he said. Morgan’s life has been on hold since the incident, Wagnild said, and now his client is planning to complete his education, but probably not at Seattle University.